Milwaukee Brewers GM David Stearns told reporters on Friday that the trade that brought Jonathan Schoop to Milwaukee for the final months of last season was a “bad deal”. The Brewers weren’t willing to take a shot at arbitration with Schoop and didn’t offer him a deal for 2019. It makes Schoop a free agent. The Brewers also declined to make offers by the Friday deadline to left-handed relievers Dan Jennings and Xavier Cedeno. They tendered contracts to all of their remaining arbitration-eligible players, including infielders Hernan Perez and Tyler Saladino. Schoop played 46 games with the Brewers, but struggled. He hit just four home runs and drove in 21 runs while striking out 41 times in 124 at-bats. He earned $8.5 million last season and was projected to get around $10 million in his final year of arbitration. The Brewers currently have 36 players on their 40-man roster, giving them some flexibility in free agency. Travis Shaw’s three-run homer highlighted a seven-run fourth inning, leading the Milwaukee Brewers to a 9-2 win over the Arizona Diamondbacks on Wednesday afternoon at Miller Park. Tyler Saladino added a solo home run and drove in two runs, while Jesus Aguilar drove in three runs, leading the Brewers to a sweep of the three-game series. Brent Suter allowed a pair of solo home runs in 5 2/3 innings of work and improved to 4-3. The Brewers improved to 31-19, the best record in the National League. It’s also the best 50-game start for the Brewers in franchise history. The Brewers finished 5-1 in their season series with Arizona. The Diamondbacks came into Miller Park in a funk and it got even worse by the end. They have lost 13 of their last 14 games. The Brewers improved to 15-6 since being swept by the Chicago Cubs at Wrigley Field. The Brewers open a four-game series against the New York Mets at Miller Park tonight. 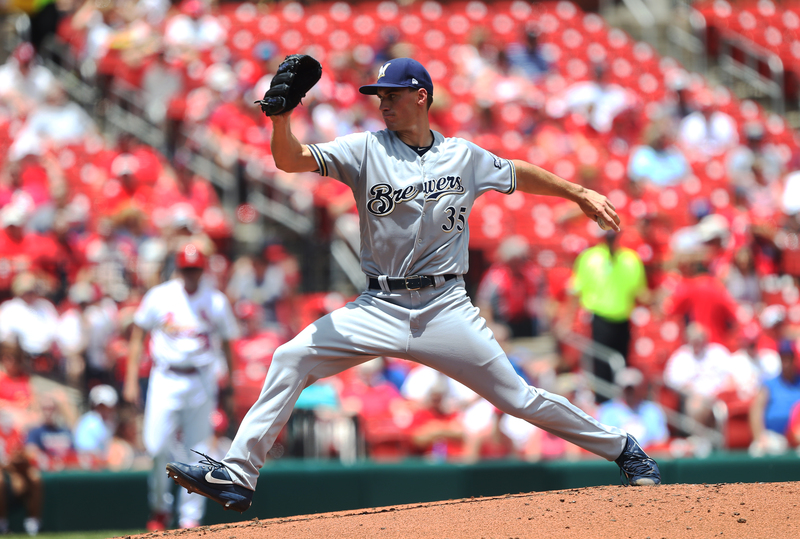 Zach Davies (2-3, 4.24) returns from the disabled list to pitch for the Brewers. Steven Matz (1-3, 4.42) gets the nod for the Mets. The Milwaukee Brewers clubbed four home runs in the first four innings en route to a 8-2 win over the Diamondbacks at Chase Field on Wednesday. Travis Shaw and Domingo Santana hit back-to-back home runs in the first inning. Christian Yelich added a two-run shot in the second, and Tyler Saladino hit a solo shot in the fourth. Brandon Woodruff pitched five innings, allowing only a solo home run to pick up the win, helping the Brewers to a 5-2 record on their 10-game road trip. That trip will close with three games at Minnesota, starting Friday night. The Brewers have the day off today. Christian Yelich singled in the go-ahead run in the seventh inning to lead the Milwaukee Brewers to a 7-2 win over the Arizona Diamondbacks at Chase Field in Phoenix. Tyler Saladino added a two-run, inside-the-park home run in the ninth inning for Milwaukee, which improved to 4-1 on their current 10-game road trip. 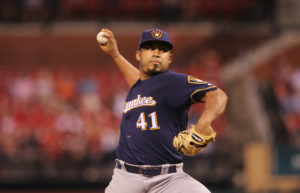 Junior Guerra tossed six innings of two-run ball to even his record at 3-3 for the Brewers. Steven Souza Jr. doubled in his first run as a Diamondback in the fourth. Nick Ahmed had the other RBI on a sac-fly for the Diamondbacks, who have dropped six-straight to fall to 24-17 on the season. Patrick Corbin allowed four runs in six-plus innings, falling to 4-1. Arizona outfielder A.J. Pollock left in the ninth inning with a left thumb sprain. Brewers outfielder Ryan Braun was scratched from the lineup prior to the game with back tightness. Game two of the series is tonight. Jhoulys Chacin will get the start for the Brewers. Zach Greinke goes for Arizona. 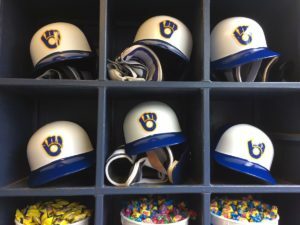 The Milwaukee Brewers made a handful of injury-related roster moves on Wednesday, prior to their series finale against the Cleveland Indians at Miller Park. Starting pitcher Wade Miley, who suffered an oblique strain in the first inning of Tuesday nights 3-2 win, was placed on the 10-day disabled list. 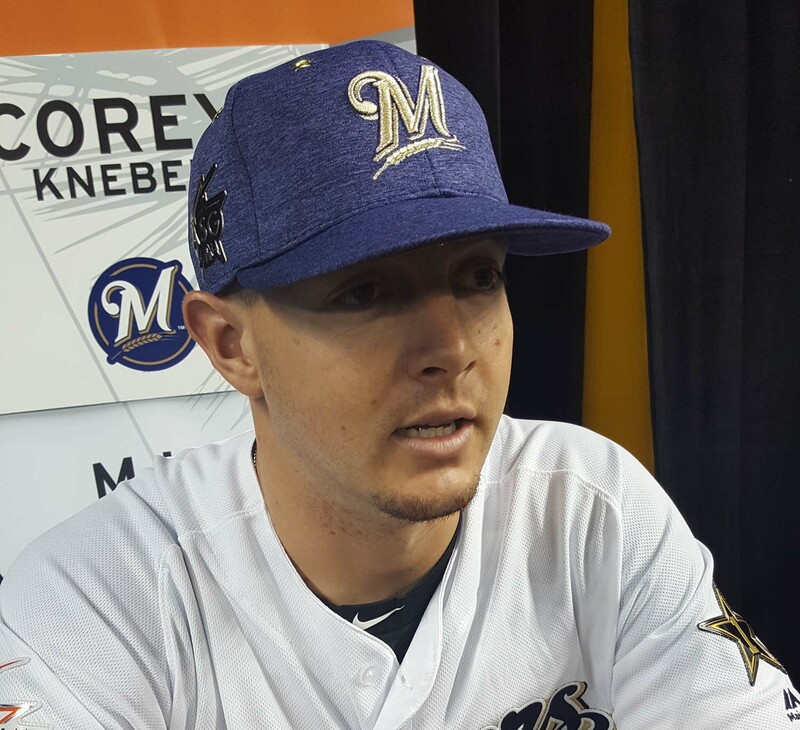 The Brewers filled Miley’s roster spot by reinstating All-Star closer Corey Knebel. Knebel will be in the bullpen Wednesday afternoon for the series finale against the Indians after missing time with a hamstring injury. Utility infielder Nick Franklin was called up on Tuesday, then suffered a leg injury in his first game. He was placed on the 10-day disabled list today as well. The Brewers filled Franklin’s spot on the roster by recalling Tyler Saladino from the minor leagues.